The most common way for someone to buy a home is through a bank loan, also known as a mortgage. The bank fronts the homeowner money and they make monthly payments to the bank for between ten to forty years until the mortgage is paid off. Both the bank and the new homeowner expect everything to go smoothly from there, and it is great when that happens. Unfortunately, over ten to forty years things change: the borrower may lose their job, encounter a financial crisis or countless other issues can arise. When things go wrong, the bank forecloses on the home. This means the bank attempts to take the house back from the borrower through its rights in the contracts it entered into with the borrower. The typical mortgage contract is known as a Deed of Trust, which gives the bank the right to foreclose on the home. However, many people do not know how the foreclosure process works and both banks as well as homeowners make major mistakes in the foreclosure process, which can lead to major issues. This was seen recently when the mortgage crisis occurred, and property values plummeted, cities declared bankruptcy and crime spiked across the country. How does foreclosure work? 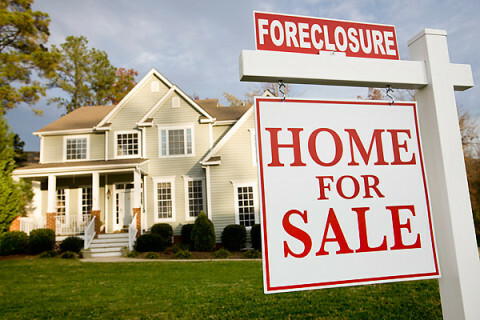 Each state has its own foreclosure laws. However, the foreclosure laws can be organized into two big picture foreclosure systems: (1) Judicial Foreclosure States and (2) Non-Judicial Foreclosure States. Judicial foreclosure states require that the party attempting to take the property obtains approval from a judge. A non-judicial foreclosure state does not require review or approval by a judge. As a result, non-judicial foreclosures have less oversight and are usually faster and less expensive for the foreclosing party. Not surprisingly, many of the states hit hardest by the foreclosure crisis, such as California, were non-judicial foreclosure states. Without judicial oversight, the foreclosure process is easier to abuse. Regardless of whether a state is a judicial or non-judicial foreclosure state, a bank forecloses on a home by recording a Notice of Default. The Notice of Default alleges that the borrower has missed payments. Thereafter, if payment is not made, the Bank can sell the property at a Trustee’s Sale. Typically, a Trustee must wait between 30-90 days from the recording of a Notice of Default to schedule a Trustee’s Sale. A trustee’s sale or foreclosure sale is where the Bank sells the property at an auction, usually at a courthouse or city hall, to the highest bidder. The Notice of Default is the triggering document and these documents were largely responsible for the mortgage crisis. When the housing bubble burst, banks recorded Notice of Defaults at a rapid pace. Many homeowners did not know their rights and abandoned their homes, which resulted in homes sitting vacant for years, also known as zombie foreclosures. Other banks simply recorded Notice of Defaults on the wrong property or listed the wrong amount owed. Due to these abuses, many states enacted what are known as Homeowner Bill of Rights, which are laws that require banks to contact borrowers before recording a Notice of Default to discuss loan modifications, repayment plans, and other options to avoid foreclosure. In California, for example, banks must follow a detailed notice requirement prior to recording a Notice of Default. If the bank does not comply with the notice requirements, a homeowner facing foreclosure can file a lawsuit to obtain an injunction (a court order stopping foreclosure). Furthermore, if the courts grants an injunction, the homeowner can get attorney’s fees from the bank. The foreclosure process is becoming a larger issue as regulatory laws become more complex, the housing market changes, and banks look for new ways to make a quick buck. If you receive a Notice of Default or Notice of Trustee’s Sale, you should immediately contact a real estate attorney to protect your rights as a homeowner. « When Are Halloween Displays Too Scary?